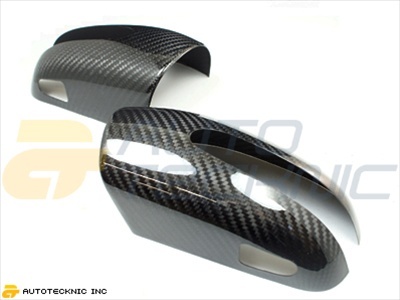 This set of dry carbon fiber mirror covers fits the Mercedes Benz W211 E-Class, including the E320, E350, E550, E55 AMG and E63 AMG. 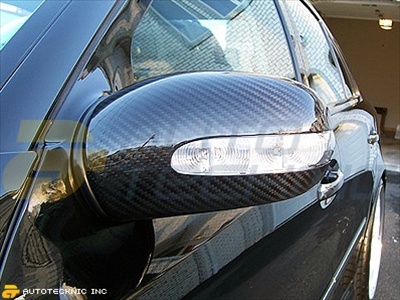 Featuring a 3k twill weave, these carbon fiber mirror covers use the same resin as used in F1 technology, and will not change color under the rain or sun. 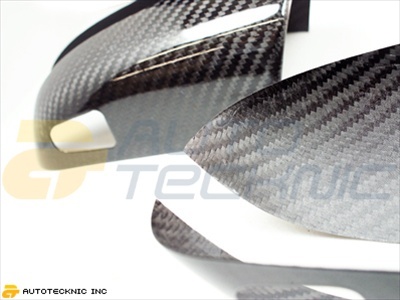 Utilizing ultra thin material (only 0.5mm thick), these mirror covers will fit perfectly over you OEM mirrors, providing a race inspired look while still preserving the electric mirror adjustment. Installation is super easy, using the included 3M tape and provided detailed instructions-after about 20 minutes you'll be left with the Dry Carbon Fiber look, showcasing your Mercedes' great look and performance.